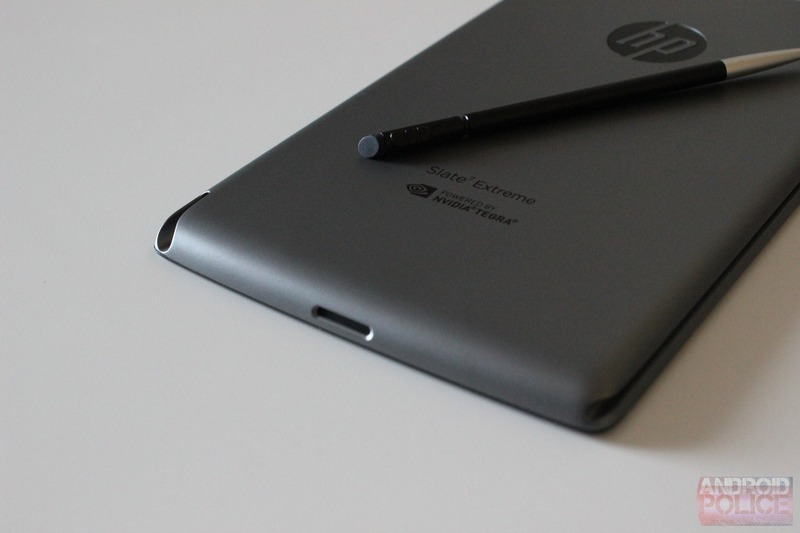 Since we've already done an extensive review of the EVGA Tegra Note 7, this will be more of a quick look at HP's offering, along with a comparison of the two tablets – and believe it or not, there are some differences. Let's just say that if you're in the market for a Tegra Note device, you'll definitely want to do your research and make sure to grab the best one for the money. Let's dig in. Dimensions/Weight: 200mm x 120mm x 9.4mm, 0.70lbs. 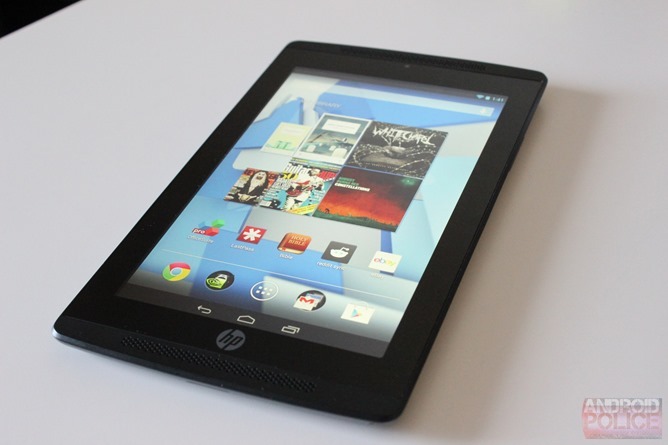 Right of the box, it's clear that the Slate 7 Extreme is an HP tablet – not an NVIDIA tablet. Gone is the black Tegra Note backing of the EVGA model, which has been replaced by a sort of dull gray backing reminiscent of past HP tablets. I wouldn't say it's a bad change, as neither design is remarkable in their own right. 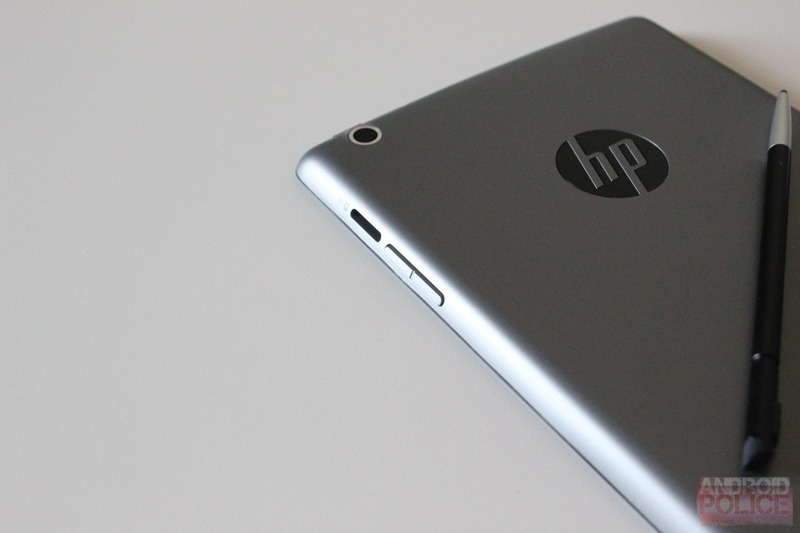 It is, however, cleaner and sleeker, so HP gets some points for that. 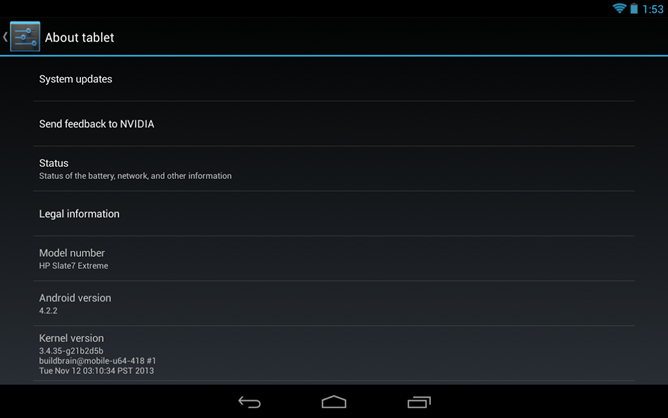 While EVGA's Tegra note is built pretty well, I'm inclined to believe that the HP is actually sturdier. It feels really well made, but more importantly, the buttons feel substantially better than EVGA's TN7. The power button is just above the camera hump, which made it somewhat difficult to find on the EVGA model. On the S7E, however, the button is raised higher than on the EVGA model, so it's much, much easier to locate and press. That's a huge improvement in my opinion, as that was one of my biggest complaints with EVGA's TN7. The button/port layout for the S7E is exactly the same as other Tegra Note devices, but here's a quick rundown for those who may not have read our previous review. The microUSB, miniHDMI, 3.5mm headphone jack, and power button are all on the top of the device, with the microSD card slot and volume rock on the right side. The stylus bay, bass reflex port, and slot for the TN7 cover are all found on the bottom. The cover spine runs all the way up the left side, so there are no buttons there. The speakers, of course, are on the front of the device at the top and bottom. The 5MP rear shooter is on the top-left corner (just below the power button). The primary tangible difference between the TN7 and the S7E is the stylus. 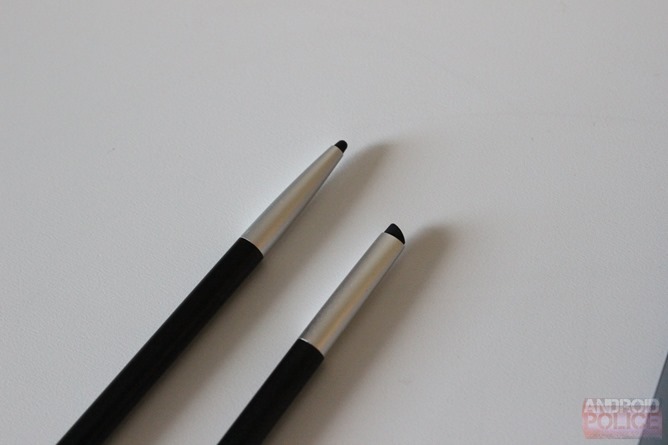 Right out of the gate, NVIDIA offered two different styli: a rounded tip and a chiseled tip. The latter ships with the EVGA model, and is actually the more versatile of the two since it can be turned and twisted to offer different widths – a great feature for anyone who plans to use the tablet for drawing or any type of art. The S7E, however, ships with the smaller, rounded-rip stylus (which is actually called the DirectStylus Pro). This one is much better for handwriting, as it doesn't matter how the stylus is turned – it always produces lines of the same width. 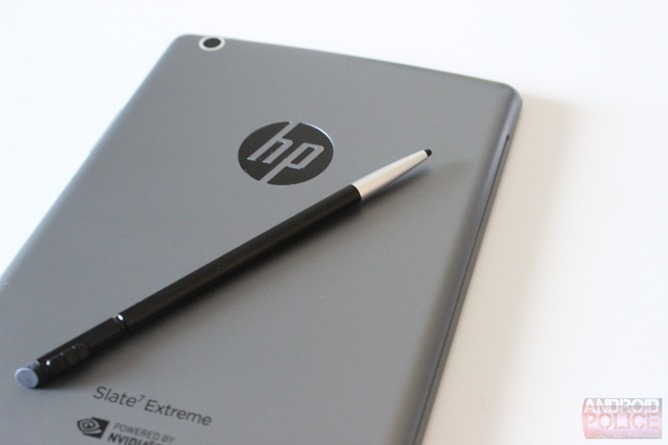 I personally prefer this stylus, as it just feels smoother and more comfortable across the display. With that said, don't let something this small sway your decision on which Tegra Note unit to buy, as replacement styluses are available, so you can easily have both types. One thing I was actually shocked to see with both units side-by-side is the difference in display. Having spent quite a bit of time comparing the two with various images, text, and games, I can without a doubt say that the Slate 7 Extreme has a better display than the EVGA model. It should be the same panel, but HP has clearly done some things here to optimize the output – it's brighter, color reproduction is better on all accounts (whites still look slightly dingy, but definitely better than on the TN7), and even text looks darker and crisper. Don't get me wrong here – it's not a mind blowing difference and you still know you're looking at a 720p display on a seven inch screen, but there's definitely a noticeable improvement. As good as the build quality is on the S7E, software is where things start to go a different direction. For starters, HP still hasn't sent the Android 4.3 update to the device, despite it being available since December 26th. That's more than a month late, which is absolutely unacceptable. Hopefully the delay is due to the fact that the S7E hadn't yet launched when the TN7's OTA rolled out and not a sign of things to come. I'm not hopeful about that, though. Really, 4.3 is a small incremental update over 4.2.2 anyway – but the fact that this one is already delayed just concerns me about future updates. 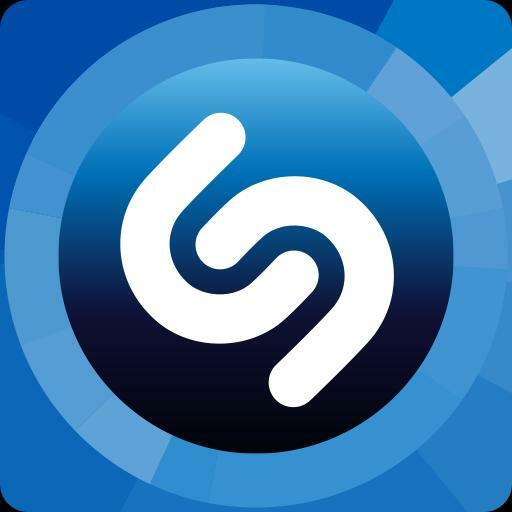 Aside from the difference in software version, HP also decided to throw its own bundled apps onto the S7E – HP File Manager, ePrint, and Connected Photo – along with bundled software, like Box, Adobe Reader, and Skype. This is, of course, on top of the already-included NVIDIA stuff, like Tegra Draw, Tegra Zone, Write, and the like. So yeah, the S7E has a bit more bloatware then the TN7, but it's still not as much as I've seen on other devices. There are also some subtle differences in the launcher – the dock only supports four icons (aside from the app tray), instead of six like the TN7. Some of the fonts are also larger, even with the font set to small in the settings menu. On the performance side, the Slate 7 Extreme is right up there with the best of 'em. The Tegra 4 under its hood keeps everything running like a top, and there's no discernable difference between the S7E and TN7. I shared my feelings on the TN7's performance in that review, so just check that out for a good idea of what to expect from the S7E. All in all, I like the HP Slate 7 Extreme more than EVGA's Tegra Note 7, despite the fact that it has yet to receive the update to Android 4.3. The build quality is better, the display is better (even if only marginally), and I prefer the overall experience. For the same price, I think the S7E is a better buy than EVGA's model, but if you've already bought the TN7, don't sweat it – the difference isn't that drastic. If you're on the fence about a Tegra Note device, however, I have no issues recommending the Slate 7 Extreme (which may actually be a first for an HP tablet). If you have any specific questions about either model of Tegra Note, feel free to fire away in the comments and I'll answer as I can.